Yay a new month and that means its time for the Life is Good link up with Found love, now what. awesome from the previous month. You know those moments where you say to yourself, "oh this is good." My parents were here for their annual visit. We visited St. Beatus Caves and I got to see the information boards I translated in the winter. when you're coaching so this was just a joy. Plus we had our first Team Switzerland practice. 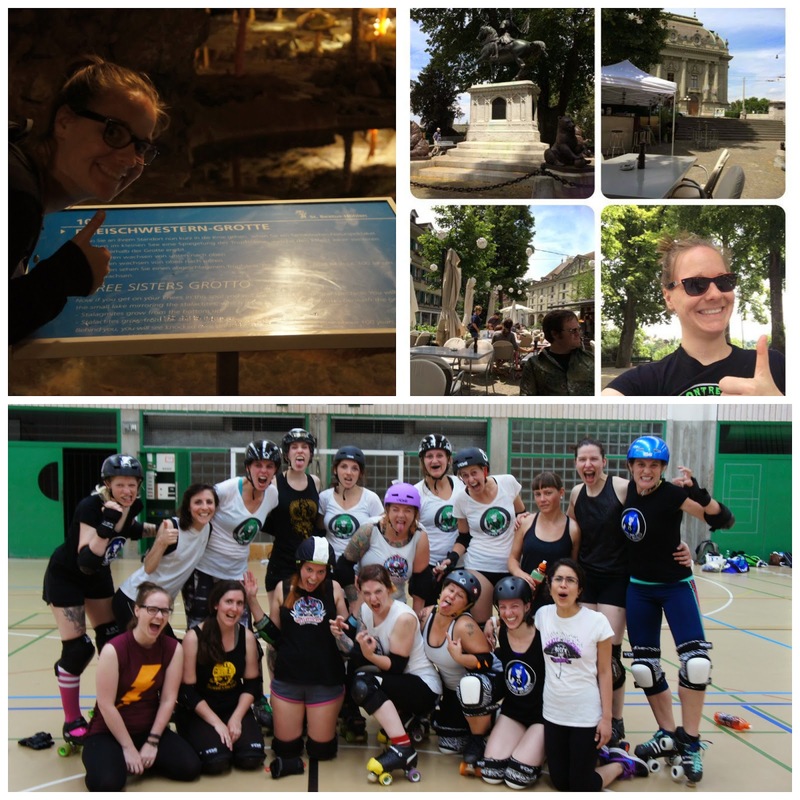 AND my team took their first road trip to do a mixed scrim in Geneva. John took his official A1 french test and felt pretty good about it. John and I opted to do nothing. We wandered about town just spending time together. We don't get to do that a lot of this was ridiculously awesome. this year just email me at thedubioushausfrau at gmail dot com. Went to the dentist for the first time in a long time and got lots of good news. Except that apparently I have short teeth....hmmmmm. 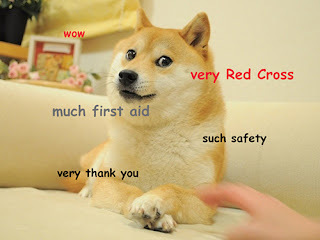 Did my medical for my job and got lots of good news there too. Except that I have hard to find veins.....now I have a complex. I got the BEST package from my bestie. John signed his contract for three more years. I signed my three year contract. June 30th will now be known as The Great Assigning Day. I had a lot of really great conversations with a lot of my favourite people. We realized our finances are in such good shape we got me a real "grown up" cell phone. With a contract. No more pay as you go for me! My writers block/blogger block/creativity block seemed to go away. Watching John become a big pile of happy while skyping with his sister and nieces. "reading" a book by his favourite author Terry Pratchett. What a great month you've had! I love that you had such an amazing parcel from home, it must feel great to get such personal parcels. Also, I love the idea of just taking a day to wander and do no jobs - great idea!